Israel provides or makes possible the Palestinian social service budget, and leaves Hamas and Fatah to steal and/or divert resources to personal or military ends. But does Palestinian poverty obligate Israel to provide aid to Hamas and Fatah governments? Warfare against Israel is the best predictor of Palestinian economic difficulty. The best aid is a job. Hamas remains in open war with the people best able to employ its people -- Israel. War has consequences. The "shift in opportunities" will come…when Hamas makes a shift in its priorities -- and if it can't or wont, the people of Gaza will continue to suffer at the hands of their own leaders. As Hamas resumed rocketing Israel on Friday, one surety was that Israel's office of "Coordination of Government Activities in the Territories (West Bank and Gaza Strip)" [COGAT] would continue operating as it has through gruesome acts of terror against Jews, "intifadas," rocket attacks and kidnappings through tunnels. COGAT is the facilitator of international aid to the Palestinians for UNRWA, the Red Cross and the World Food Program among others; it is also the liaison for the Palestinians to services provided by Israel, including the provision of electricity, water and sewage services, and all transit between Israel and the Gaza Strip. During Operation Protective Shield, more than 4 ½ million liters of diesel fuel for the Gaza power station and 625,000 liters for UNRWA entered Gaza from Israel. More than 3.5 million liters of fuel, 1.4 million liters of gasoline and 2 tons of cooking gas entered Gaza as well. While more than 3,000 Hamas rockets rained on Israel, nearly 2,000 Palestinians entered Israel from Gaza and 1,553 crossed the other way. It was COGAT that arranged more than once to have the main Gaza power station – which errant Hamas rockets had put out of service – repaired under Hamas fire to restore power to more than 110,000 residents of Gaza. In the West Bank, COGAT coordinates international aid for infrastructure projects including water, sewage, communications and energy. Israeli-taxpayer funded COGAT ensures that there will be no widespread hunger or disease among the Palestinians. Israel provides or makes possible the Palestinian social service budget, and leaves Hamas and Fatah to steal and/or divert resources to personal or military ends. The disparity in Israel's (relative) wealth and the Palestinians' (relative) poverty fueled Secretary Kerry's 2013 comment that, "I think there is an opportunity [for peace], but for many reasons it's not on the tips of everyone's tongue. People in Israel aren't waking up every day and wondering if tomorrow there will be peace because there is a sense of security and a sense of accomplishment and of prosperity." And the Palestinians do not have that sense of accomplishment and prosperity. Aside from skirting an old canard by implying that Israel is uninterested in peace (and morally deficient?) because it is wealthy, Kerry suggested that a more level economic playing field would be beneficial. But does Palestinian poverty obligate Israel to provide aid to the Hamas and Fatah governments? Is COGAT a "guilt offering"? 1992: 115,600 Palestinian workers entered Israel every day. Each Palestinian worker is said to support 5-6 people at home. 1996: A devastating series of bus bombings, including a particularly gruesome nail bomb in the center of Tel Aviv, killed more than 100 Israelis. Palestinian workers in Israel were temporarily reduced to 63,000. Sept. 1995-Sept. 2002: Despite the interruption in 1996, Palestinian unemployment decreased from 18.2% to 11%. In mid-2000, 136,000 were working inside Israel -- 40% of all employed Palestinians. Another 5,000 worked in the joint Israeli/Arab run Erez Industrial Zone in the Gaza Strip. Thousands more worked in the West Bank and the Gaza Strip in Israeli-owned businesses. Sept. 30, 2000: Arafat launched the so-called "second intifada." Begun at the peak of Palestinian economic integration with Israel, the terrorist war killed more than 1,000 Israelis and wounded more than 5,600 (comparable U.S. figures would be 40,000 and 224,000). The number of Palestinians working in Israel was reduced within six months to 55,000. 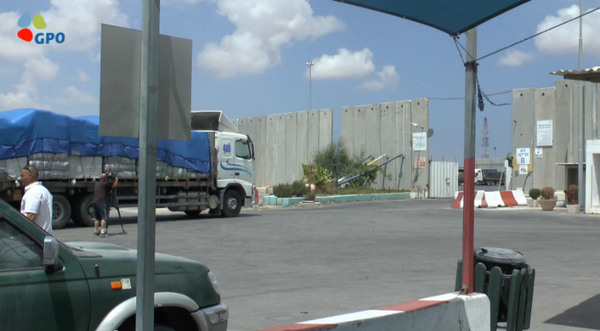 The Erez Industrial Zone was closed after 11 Israelis were killed there. 2005: There was no impediment to independent Palestinian economic activity at the time Israel removed its presence from the Gaza Strip. The Palestinian news agency Ma'an waxed ecstatic about economic opportunities, particularly the acquisition of greenhouses and agricultural equipment the Israelis were leaving behind in a $14-million deal brokered by then-World Bank President James Wolfensohn. 2006: Palestinian looters destroyed the greenhouses almost immediately, and by early 2006, the greenhouses and the $100 million in annual exports to Europe they had produced were gone. This was under the rule of Fatah -- Israel's "peace partner." 2007: Hamas took control of Gaza after a brief and brutal war with Fatah and then escalated the rocket war that had begun under Fatah in 2001. After more than 9,000 increasingly long-range and accurate rockets and missiles, Israel launched Operation Cast Lead in 2008/09. 2009: Israel and Egypt instituted the security blockade of Gaza; the UN has acknowledged the blockade to be a legitimate security measure. That year, the UN temporarily suspended aid to Hamas for stealing aid supplies. In 2013, after the 2012 Operation Pillar of Fire, the Palestinian news agency Ma'an reported more than 100,000 Palestinians were again working daily in Israel, with another 20,000 working in West Bank industries. President Obama has made economic opportunity in Gaza a priority. "For the long term, there has to be recognition that Gaza cannot sustain itself permanently closed off from the world, incapable of providing some opportunity for jobs and economic growth for the population who live there. We have to see the shift in opportunities for the people of Gaza." But Palestinian poverty is not a plague or an earthquake; it is intimately related to Palestinian government policy both in the West Bank and in Gaza. Hamas remains in open war with the country best able to employ its people -- Israel -- and war has consequences. The "shift in opportunities" will come only when Hamas makes a shift in its priorities -- and if it can't or won't, the people of Gaza will continue to suffer at the hands of their own leaders. Shoshana Bryen is Senior Director of The Jewish Policy Center and Editor of inFOCUS Magazine.